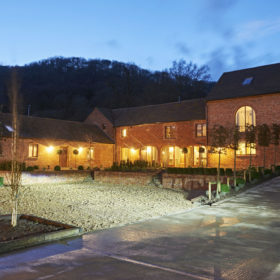 Midsummer Stables sits in the clean country air that hangs over the foothills of the Malvern Hills. 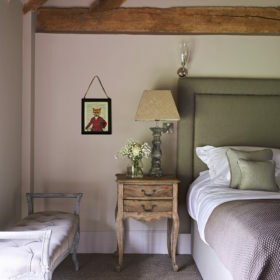 Rustically French, yet stunningly modern, it’s a place to cosy up by the crackling fire, walk the trails, sleep like logs. 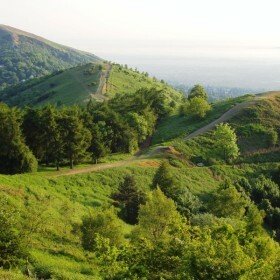 In the foothills of the Malvern Hills, the hush never leaves the clean country air. Beneath the call of the skylark and the big blue skies sits Midsummer Stables. 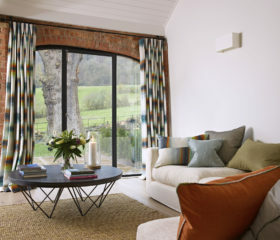 Retreat, relax and embrace the rural ambience, nature trails, picture windows and 300 acres of silent seclusion. 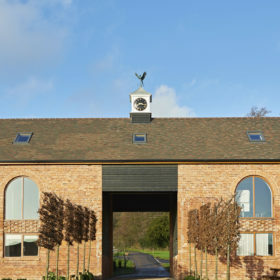 As rustically French as a Brie-laden baguette, yet stunningly modern, too, Midsummer Stables welcomes the outside in through the floor-to-ceiling windows, offers it a cup of tea and invites it to cosy up by the crackling fire. 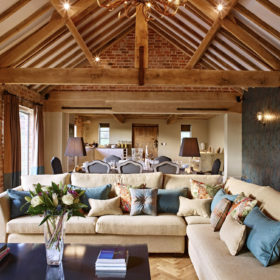 You’ll be snug, too, with your toes luxuriating on the heated parquet floor and your folks curled up all around you. 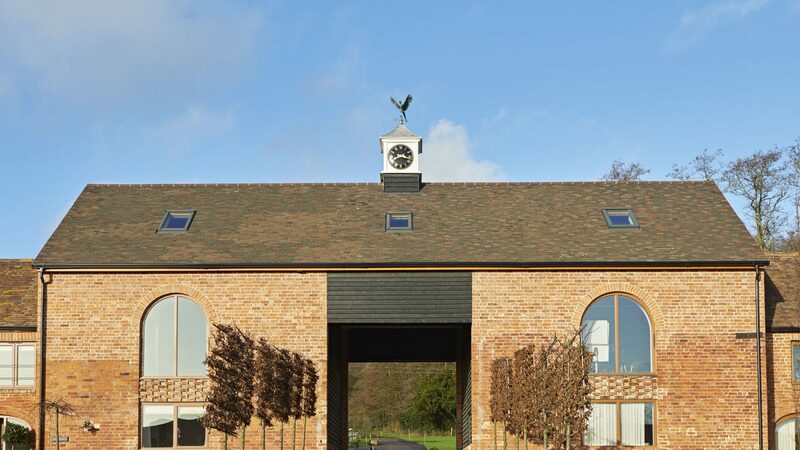 A former bull pen dating from 1825, Midsummer Stables has been renovated to remove all hints of the 19th century. 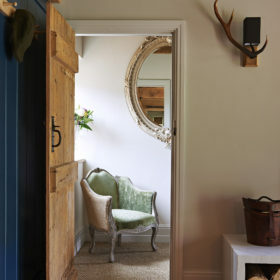 Livestock has made way for boutique lighting, Fired Earth tiles, and Cole and Son wallpaper. 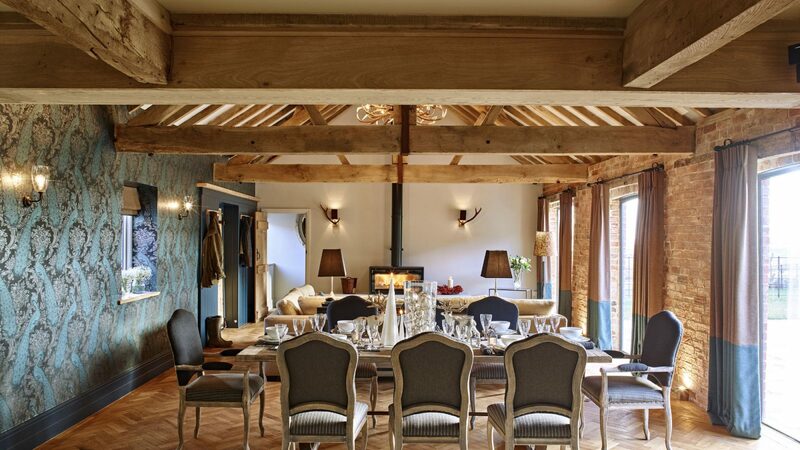 It’s an open-plan layout beneath the oak beams that’s fluid, flexible and family-friendly. You’ll all sleep like woodland logs and wake refreshed and ready to do it all again. 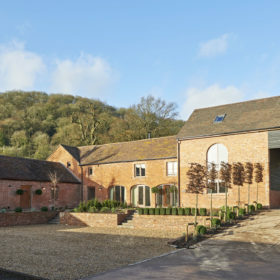 There are three other barns nearby Midsummer Stables, but privacy is paramount in your own private garden. Break out the cricket and croquet, set the kids loose on the lawn, and let the smell of al-fresco cooking hang in the clear country air. 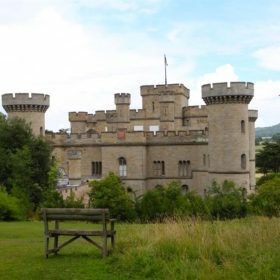 This is the mother of all gardens, with 300 acres reaching out and touching the vast expanses of Worcestershire, challenging you to spot where private ends and public begins. One thing’s for sure: the fun need never end. The garden’s the springboard for further exploration here, wending a trail into myriad rural treasures beneath the swoop of the skylark and the endless skies. 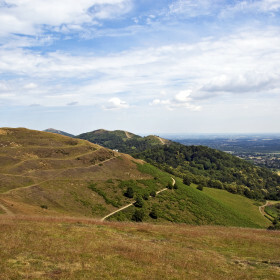 From the front door, take a six-mile hike along the Malverns or just a two-mile trek to the local pub, then meander merrily home to the open fires and happy laughter that tell of good times shared with good people. 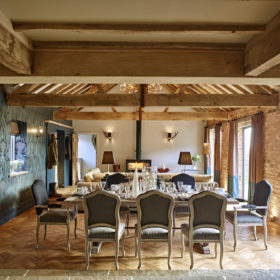 With its underfloor parquet heating, Fired Earth tiles, oak beams and boutique lighting, Midsummer Stables is like a special stage on which you act out your own delicious version of life with family and friends. You can be as traditional or tech-savvy as you wish. Break out the cards, kick off a game of charades, have a name posted to your forehead and guess who you are. Alternatively, modern miracles await. Wifi floods Midsummer Stables or you can dive into the DVDs; you’re sure to find a family favourite to cap an enjoyable day. 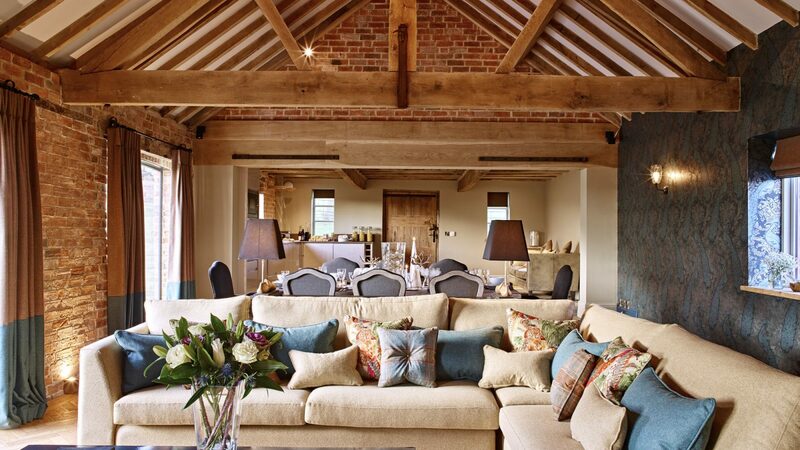 The open-plan design makes for a sociable space to let go of life for once and let things flow. Light floods the room through the ceiling-height windows and you can set the soundtrack to your stay with the Bose sound system. 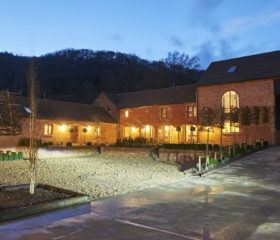 With the logs crackling for England, Midsummer Stables is a cosy cradle of family fun. 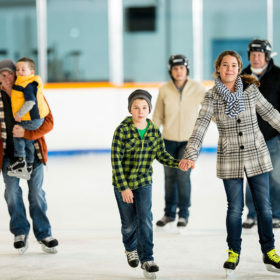 It’s easy here to feed your family with a flourish. The state-of-the-art kitchen comes with oven, microwave, fridge and coffee machine. You can even whistle up your groceries online. For a night off, shout for our chef and we’ll delight you with some fabulous fodder around the eight-seater table. Eating out? 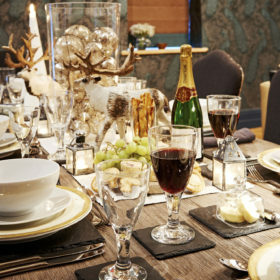 Ramble your way to a roast dinner with a difference at The Inn at Welland, where buffalo mozzarella slides down with the help of the jazz that laces the air. The Hanley Swan’s the place for cured Loch-Duart salmon or rare-breed longhorn beef. 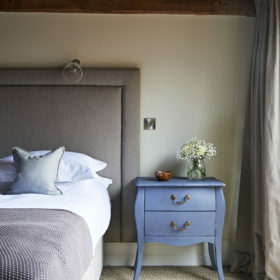 The Porch House on Stow-on-the Wold is England’s oldest inn, while The Feathers offers rest and recuperation from pottering Ledbury’s cobbles. 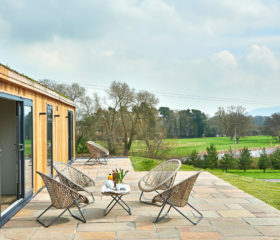 For the best views in Britain, try The Cottage in the Woods in Malvern, where the Severn Valley pans out from the terrace as you tuck into tortellini of truffle or pan-roasted pheasant. 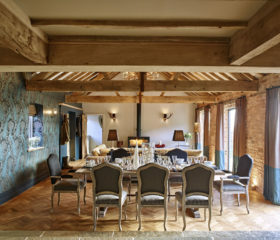 If only truly fine dining will do, a small constellation of Michelin-starred eateries glitters on the near horizon, at the Butcher’s Arms in Eldersfield, 5 North Street in Cheltenham and the Lords of the Manor in Upper Slaughter. 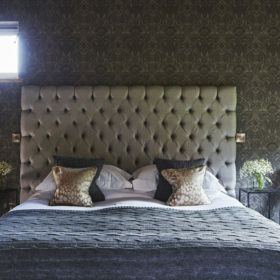 Midsummer Stables sleeps eight in the cradle of rural luxury, where you’ll doze quietly and deeply, and wake refreshed, revived and ready to seize another day in the heart of England’s best-kept secret. 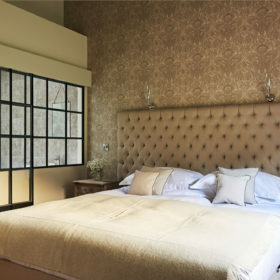 Four bedrooms offer flexible accommodation. The master bedroom is king size, and fit for royalty, too, with its double sinks and luxury roll-top bath that invites you to linger for longer than is strictly necessary. On the first floor, there’s a double bedroom. The large, luxury shower room is a steamingly good addition to the facilities. 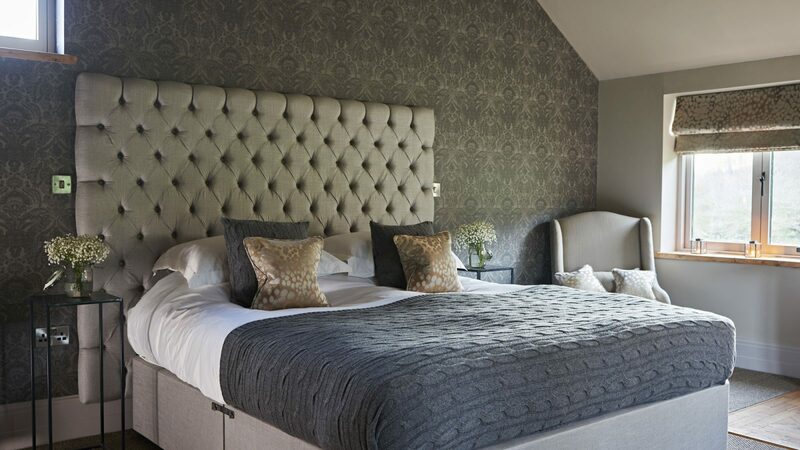 On the ground floor, you’ll find two doubles; one with luxury walk-in shower and the other with luxury en-suite shower room. Crawl from your crisp sheets and enjoy a late start. The only deadline here is the compulsion to do it all before dusk. Life here is more wildlife than nightlife. Watch out for woodpeckers, nuthatches and otters at the Knapp and Papermill Nature Reserve. 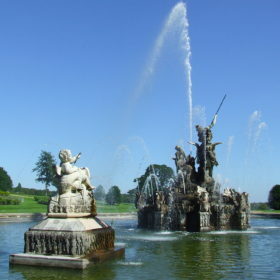 Fish the rivers, walk the Malvern ridge or have a flutter on a filly at Cheltenham Races. 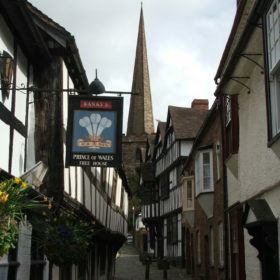 Potter Ledbury’s cobbles for real-ale pubs and tearooms. Relax, recharge, revisit someday.